The 74th survey of projects investment in India conducted by Projects Today indicates that during the five-year period FY15-19, 47,911 new projects were announced with a total investment of Rs 60,51,281 crore as against 43,876 new projects worth Rs 29,28,125 crore announced in the preceding five-year period FY10-14, a rise of 106.7 percent. The buoyancy in announcement of fresh investment was observed across all major sectors except the electricity sector, which recorded absolute decline both in number of new projects and investment committed therein. While fresh investment increased by more than 100 per cent in the manufacturing, mining, infrastructure and irrigation sectors, the manufacturing and irrigation sectors saw less number of new projects announced during the latest five-year period ending 31 March 2019. Though the manufacturing sector attracted 1,325 less projects during the FY15-19 period, thanks to increase in the number of mega projects (with cost of Rs 1,000 crore or more), total fresh investment expanded by 130.5 per cent from Rs 7,00,725 crore to Rs 16,15,456 crore. As a result, the share of manufacturing in total fresh investment increased from 23.9 per cent in FY10-14 to 26.7 per cent in FY15-19. Among the sub-sectors, fertilisers, steel, cement, refinery and electronics segments received increased fresh investment commitments during the FY15-19 period. The FY15-19 period saw announcement of 253 mega projects. Of these, 218 were owned by private promoters. The preceding five-year period had seen announcement of 131 mega projects. Reflecting the emphasis of the current Government on infrastructure building, fresh investment intensions multiplied three times from Rs 11,46,208 crore in FY10-14 to Rs 34,09,300 crore in FY15-19. The sector comprising transport and social infrastructure saw announcement of 39,509 new projects in FY15-19 as against 33,145 projects announced during the FY10-14 period. The extra emphasis laid by the Central Government on expanding highways led to trebling of fresh investment in the roadways from Rs 3,64,809 crore in FY10-14 to Rs 11,24,996 crore in FY15-19. The construction sector comprising commercial complexes, industrial parks and real estate saw a fall in number of new projects during the five-year period FY15-19. Though fresh investment commitments increased from Rs 2,18,439 crore in FY10-14 to Rs 6,42,657 crore in FY15-19, the twin-balance sheet phenomenon affected this sector the most. The power sector, during the FY15-19 period, witnessed more stalling of the existing projects than announcement of new projects. Most of the large-size thermal power projects announced during the FY10-14 period could not make much progress due to non-availability of land, lack of finance and delays in signing of PPA agreements. As against 639 thermal projects worth Rs 7,90,227 crore announced during FY10-14, only 98 new thermal projects worth Rs 2,19,568 crore were announced during FY15-19. On the other hand, new investment in renewable power projects (mainly solar and wind) expanded by 294.5 per cent from Rs 92,760 crore during FY10-14 to Rs 3,65,953 crore during FY15-19. Cumulative fresh investment in the irrigation sector increased sharply from Rs 57,934 crore in FY10-14 to Rs 1,98,869 crore during FY15-19. Madhya Pradesh, Rajasthan and Telangana were the large investors in this sector. Private investment after picking up in FY15 and FY16 slumped in FY17 and FY18 only to recover in FY19. However, all along the five years (FY15-19) private fresh investment remained higher than the lower figures seen in FY12, FY13 and FY14. Policy paralysis and financial mismanagement saw large scale stalling of projects in the last three years of the FY10-14 period. Further, heavy borrowings and mismanagement of funds forced owners of such projects to default on their debts mostly borrowed from Indian banks. The resultant “twin-balance sheet” issue weighed heavily on financing the ongoing projects, which in turn forced even the genuine promoters to go slow on new projects announcement. 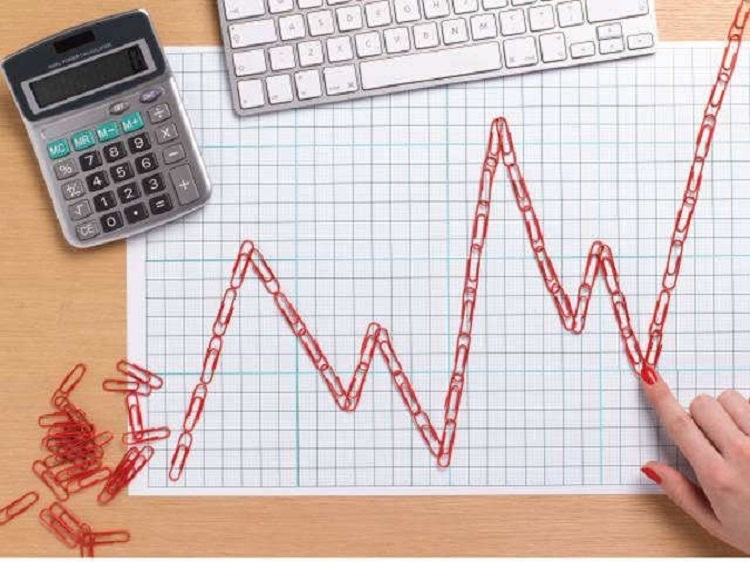 During FY15-19, total fresh investment by the private sector increased by 55 per cent (thanks to mega projects), however, the number of new projects fell sharply when compared to FY10-14 statistics. This indicates the uneasiness of small- and medium-size private companies that are still awaiting revival in domestic demand to chalk out their expansion plans.